Research design is the beginning of every project of a company and it includes a detailed plan that helps in the description of why the research is conducted, what is required to drive the answer, and what is needed to look for the materials or details that are required for contribution to a certain field of data. Tradesmen all over the world try to find the most advanced and unique ways to explore new fields and areas by innovative methods and technology. Manual monitoring and measuring were utilized to develop and record ground facts. These days, technology is largely integrated into the procedures, particularly for the collection of new data and discovering facts from a particular field. The use of the latest technologies can help tradesmen in the development of effective methods that can be used for collection of data that is not only suitable, but can also be used easily. The collection of data is not an easy task. It is a complex process which takes time for the extension over certain time periods. Other than that, it requires a lot of resources including money, time, energy and efforts in the development of actual ground facts. Project managers and their on-site teams use the records that are written with the help of their tablets, superior custom data apps, and cell phones. It indicates that the increasing use of technology for the development of onsite plans always makes things more convenient and easier for anyone who is involved in the complex data collection. Tradesmen often hire professional project managers who develop an on-site team that records and collects data for processing. They have the knowledge, expertise, and skills to handle complicated matters that are mainly linked to the collection of field data. The technological world has transformed into a global village and everyone in the world is linked with life-changing inventions. The internet has made things easier and provided us with infinite opportunities that help in earning a living. Mobile devices can play a significant role when it comes to data collection and recording and processing that data. It does not require a solid hardware investment and almost everyone has a smartphone these days. Data records can help people monitor and analyze data in real time, which means that it saves time and energy to an unlimited extent. The increasing use of drones for on-site data collection bears testimony to the fact that managers on-site teams have developed trust in the collection of data from different fields with innovative and smart gadgets such as drones. They can have an idea of the exact status of difficulties that are very tough to accomplish on foot. 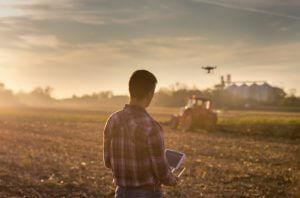 Drone technology requires investment in hardware, along with the development of trust that this type of investment will be helpful in the long-run of a business. Additionally, it can also be outsourced. Most businesses use still images, GPS, and videos for the collection of data as people have developed long term faith in these devices.